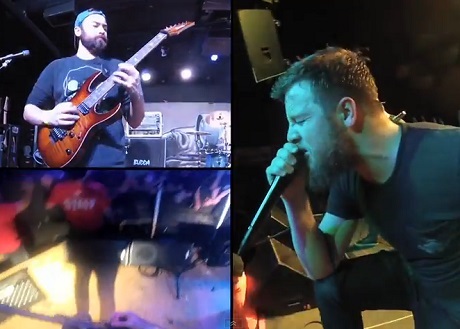 Just ahead of Protest the Hero's next leg of tour dates behind Volition, the prog-metal players are showcasing some sights from their last trip in a live clip-loaded new video for "Tilting Against Windmills." While recent conceptual clips featured Trekkie fights or foul-mouthed finger puppets, this latest video mostly takes place onstage with the band shredding through finger-tapping solos and filming packed club crowds with head-mounted cameras. While not as ambitious as other Volition videos, it'll give you a good idea of what to expect from a Protest the Hero gig. You'll find the video down below, and the tour info for their spring North American tour over here.